A new homeless shelter in Honolulu is banking on the idea that fewer rules could lead to more people off the streets. The Sand Island facility, called Hale Mauliola, has been in business for three months now. HPR’s Molly Solomon paid a visit to see how things are going. Patricia Thomas welcomes me into her home, a bright blue shipping container at Sand Island’s Hale Mauliola navigation center. "This is for a couple, two beds," she said. "They supply the furnishings, you're not sleeping on the ground." One element of homelessness that doesn’t always get a lot of attention: the impact on young children, and in particular their education. There’s a group on Oahu that focuses on providing free preschool for homeless children and families. 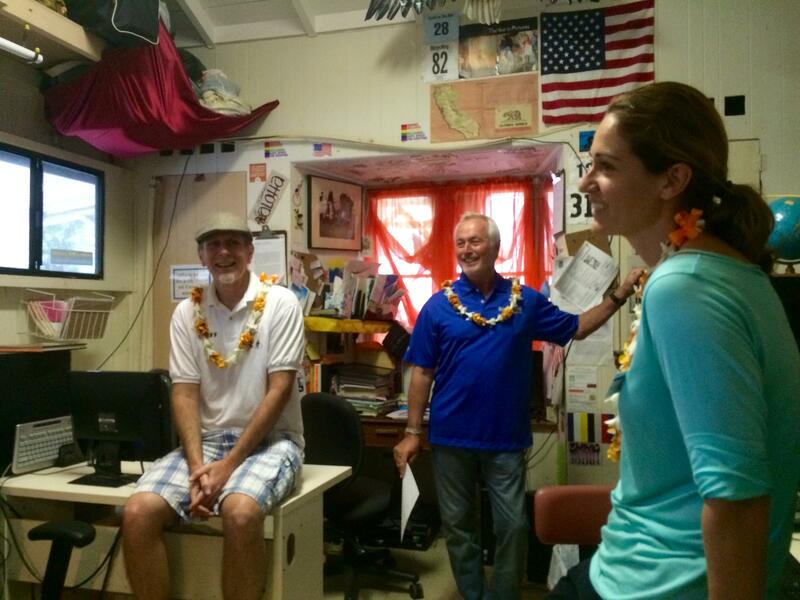 HPR’s Molly Solomon paid a visit and has this report. About a dozen families stand in a circle, holding hands as they sing their morning pule, or prayer. 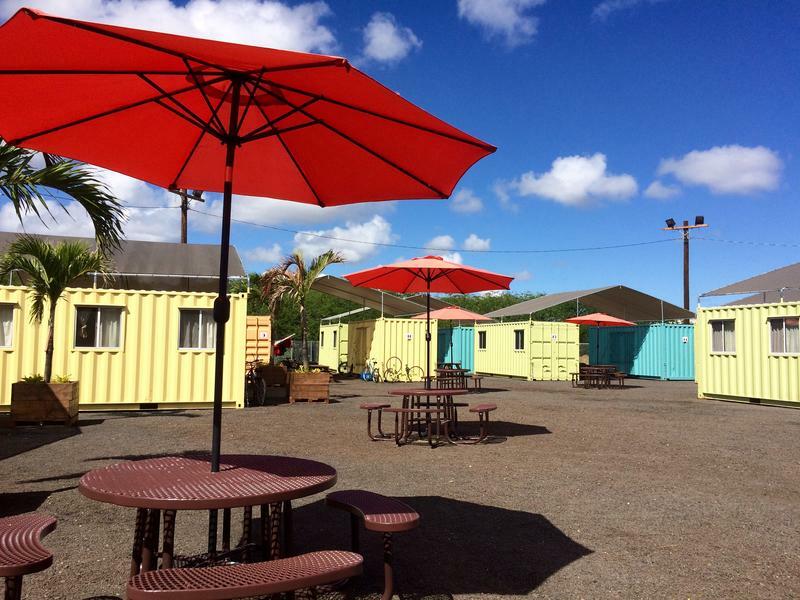 They’re by a parking lot for a pair of homeless shelters in Kapolei. That’s where many of these families are living. 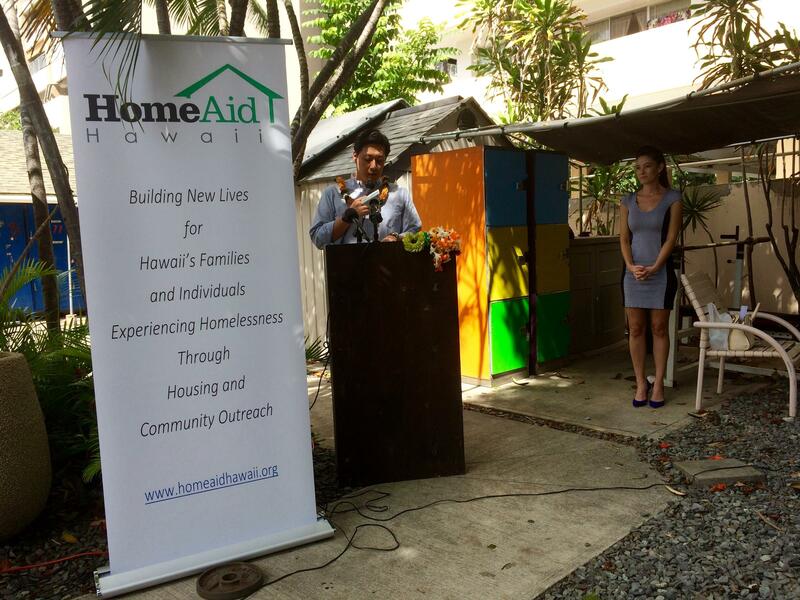 A national non-profit housing provider has partnered with the local building industry to address homelessness on O’ahu. HPR’s Wayne Yoshioka reports.